Have I got a treat for you this fine Monday morning! 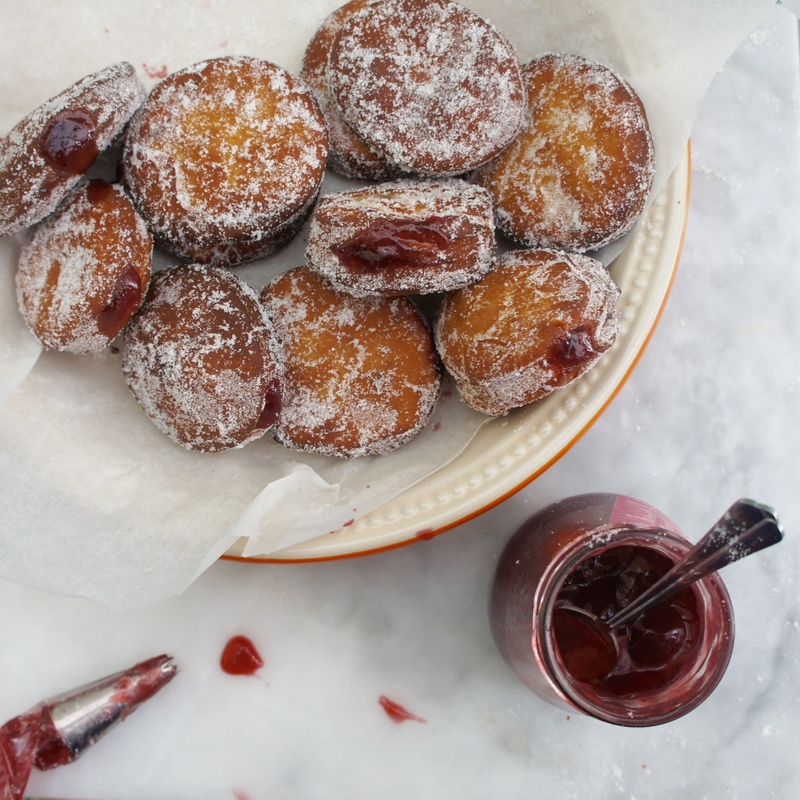 That’s right kids, I’ve only gone and made soft and fluffy, deliciously yummy doughnuts, filled with sweet raspberry jam – you must make them. 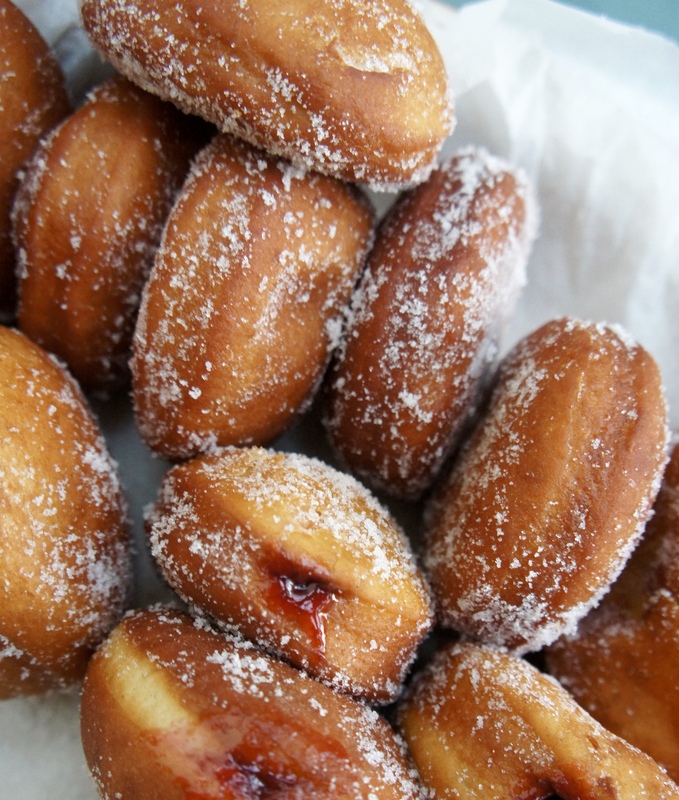 In my opinion there is no better doughnut, than a homemade doughnut! 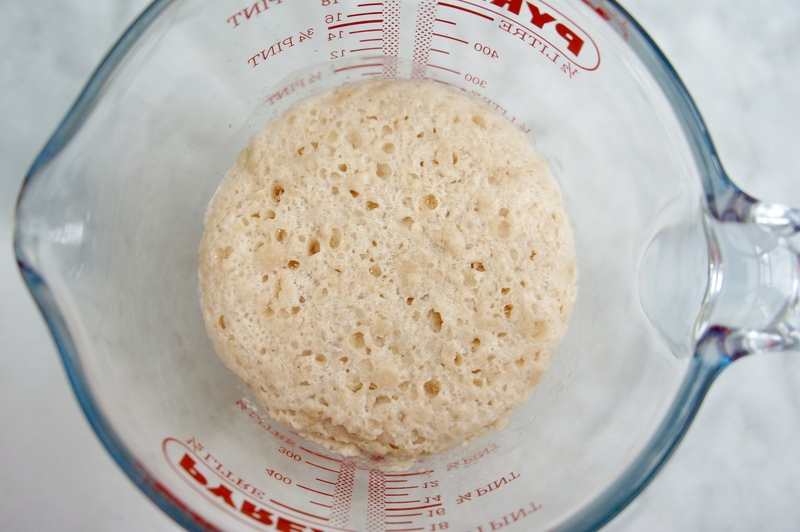 In a small bowl combine the yeast, teaspoon of sugar, warm water and set aside for 10mins. 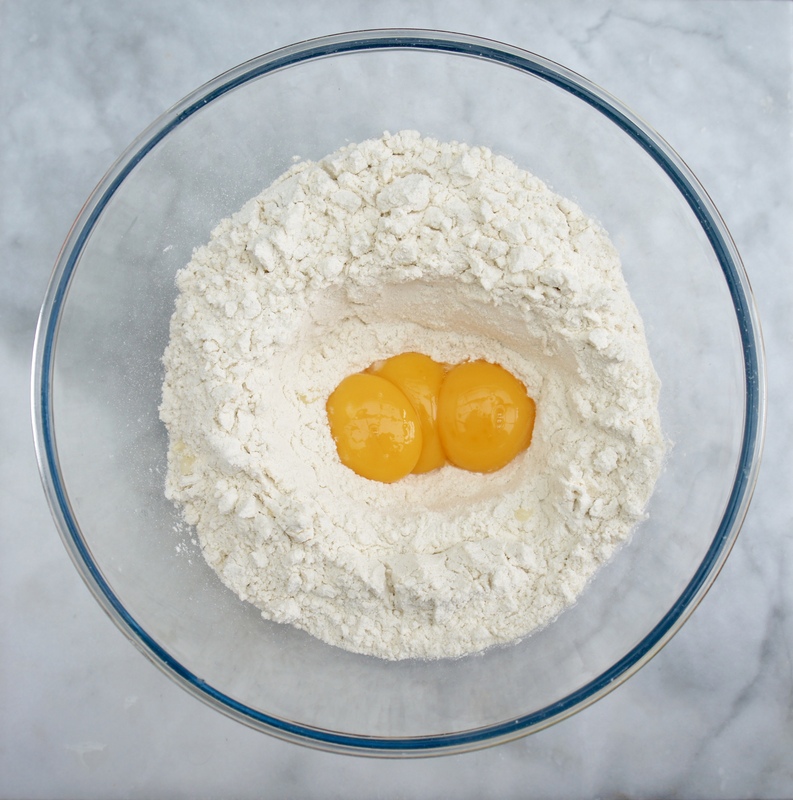 Next up, put the flour in a large bowl, make a well in the centre and add your eggs (I used three because the eggs I had were small, but 2 large ones should do the trick!). 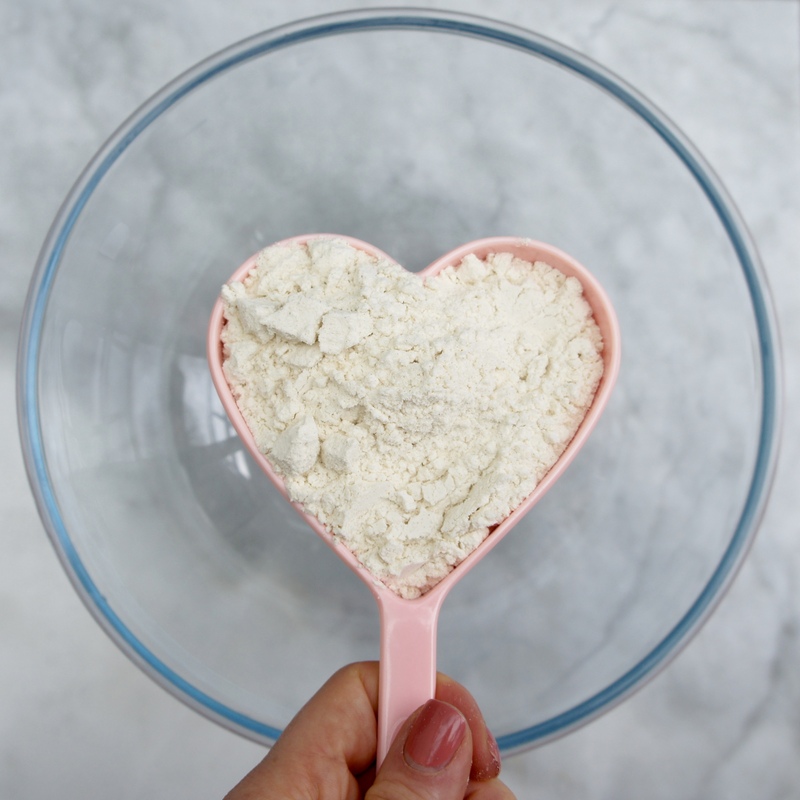 Add the yeast mixture, 1/4 cup sugar, butter and salt and mix together with a wooden spoon. 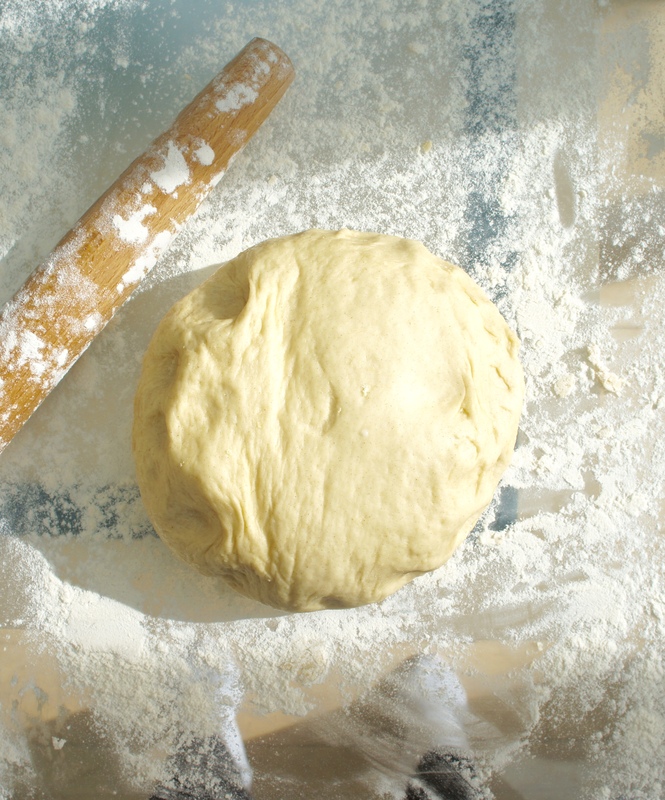 On a floured surface, knead the dough well for approximately 8 mins or until, when prodded with a finger, the dough bounces back. Place in an oiled bowl , cover with clingfilm and allow to rise to twice it’s size for 90mins. When ready, roll out to a 1/4 inch thickness, cut 20 rounds, cover with cling film and leave to rise for 15mins. Carefully heat the oil in a medium sized pot until a sugar thermometer reaches 370 degrees. Using a slotted spoon, slip four rounds into the oil and once they’re lightly browned on the oil side, turn them over. 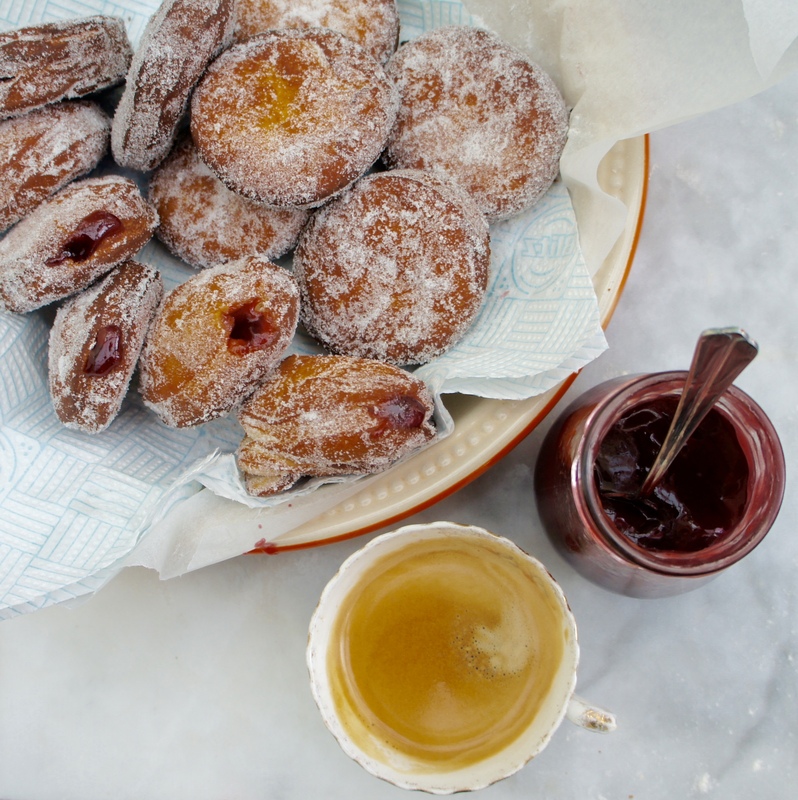 Using your slotted spoon again, take the puffed up doughnuts out and place on kitchen roll, after a few seconds of cooling, roll in sugar whilst still warm. 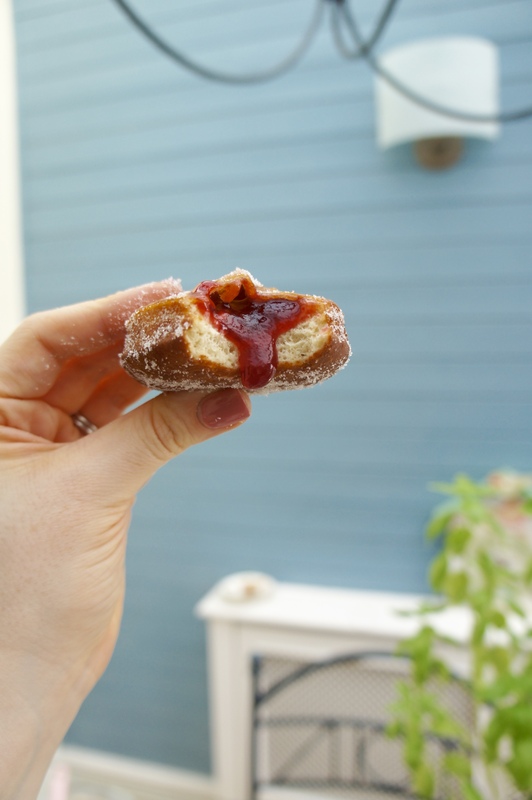 Lastly, using a toothpick or similar make a hole in one side and with a pastry bag filled with jam, pipe through about 2 teaspoons worth and repeat with all remaining doughnuts. Take care with the oil and have fun making them….ahem….eating them – all! 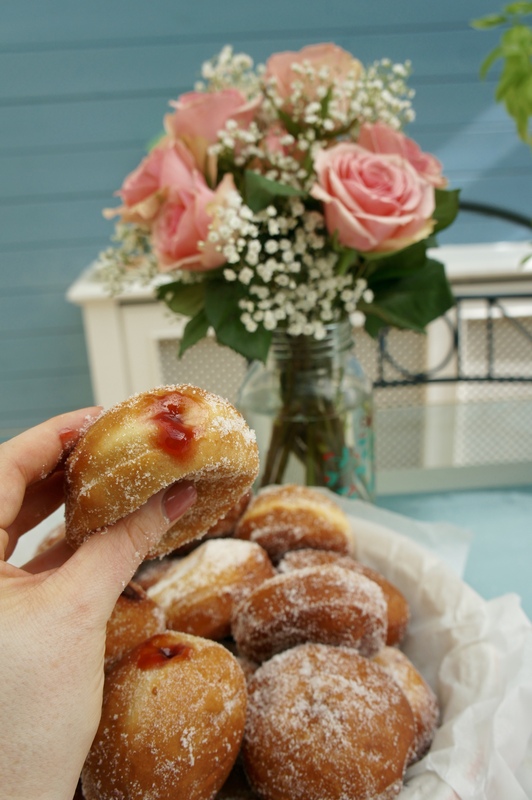 I agree with LuxeStyle here, the jam pops out on you, makes you wanna take a bite without an ounce of regret! Oh my these look delicious! 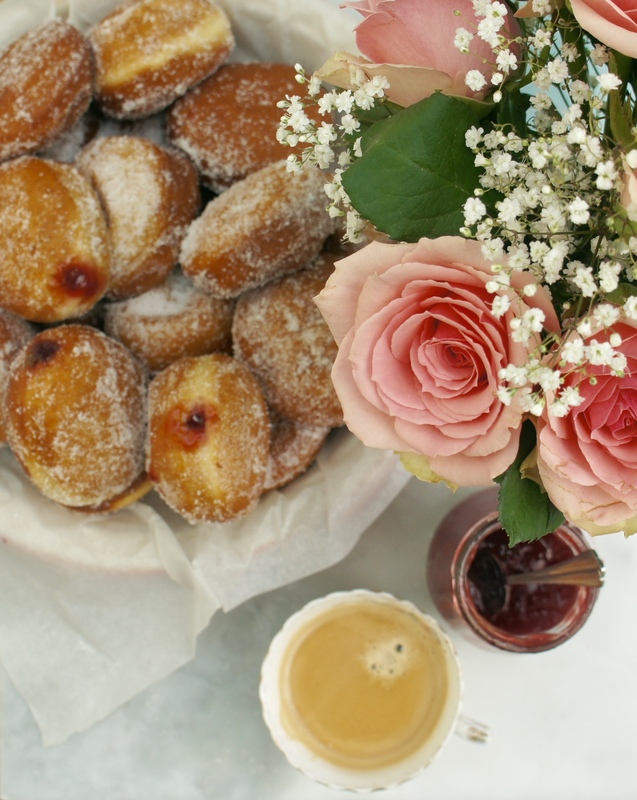 I am usually a savory over sweet breakfast eater but I might have to grab some donuts now this weekend! It’s Friday arvo and I’ve ran out of money (thanks food! ), it’s nice and cooled down (Aussie autumn) so I shall make this this weekend!